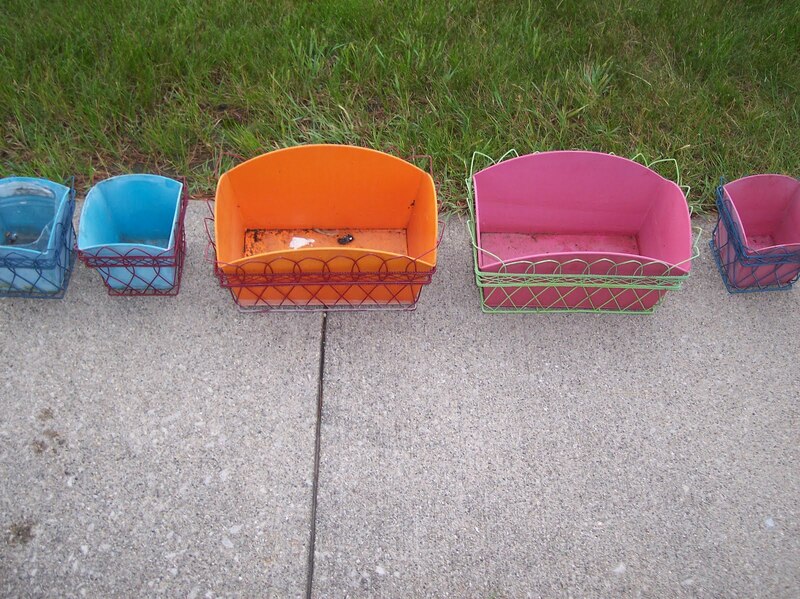 The Thrifty Groove: I'm Lovin' Color! Wow, once I stepped out of my color shell, I have become an out of control color freak with my outside patio and garden decor! And I am loving it! Last weekend I went to check out an old outdoor flea market. This flea market has been around for a gazillion years. My girlfriend and I, back in our early 20's, used to go there once a summer and sell stuff. But, I haven't been there in a long time. Well, I thought I would go and check it out and see if it was a place I may want to sell a few items in the near future. 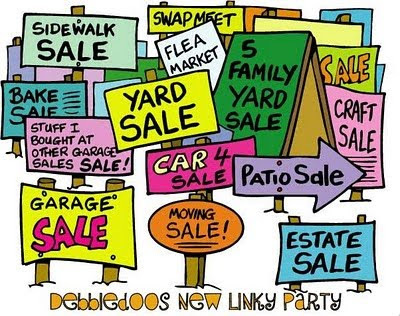 I don't think I will sell there because for the most part it really is a big junk sale place. But, the thrifter in me was having a blast! You know the kind of place, big field, lots of rickety tables, the ground is all rocks (note to self, do not wear sandals next time!). Most of the "regulars" are selling old car parts, rusty tool and old fishing stuff. Then you have the sellers with tables of new bottles of shampoo, conditioner and what not. So, not the venue I want to sell at but, a fun place to go through a bunch of rusty, dirty and stacked stuff. I found one guy with a bunch of junk. He obviously bought out a few other sellers stuff and it was just stacked and piled everywhere. Nothing remotely organized. I found some silver spoons that were in a rusty bucket under a bunch of stuff and the bucket had standing water in it. No idea if I will be able to clean this silver or just use them in a project but, for the set of four matching silver spoons, I paid .20 cents. So, that is the kind of seller this was. 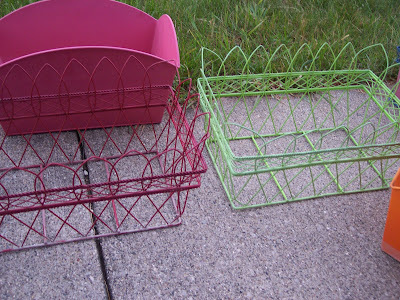 As I was going through stuff and pulling out items I thought I may want, I spotted some bright colored wire things. I had no idea what they were until I cleared all the junk off of them an found these. 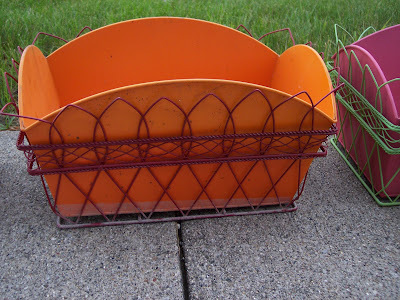 There was two good size metal rectangular planters and 3 square ones. They were way buried under a bunch of men's old work clothes. Sitting on the ground. 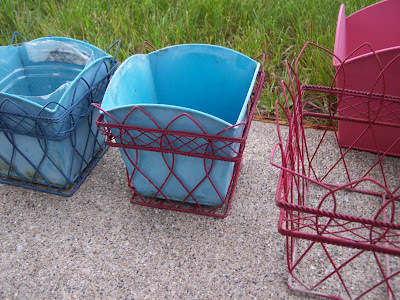 When I pulled them out and removed the clothes, there were some rusty tools in them and standing water. After some negotiating, I paid $1.00 for all of them. The colors were fun but faded so, after some cleaning they got repainted, alternating between red and yellow. I decided I needed one of the squares ones for a different project, which I will show soon, but the rest were going to get a burst of fresh color and filled with some clearanced flowers plus some of our own plants that needed culled. 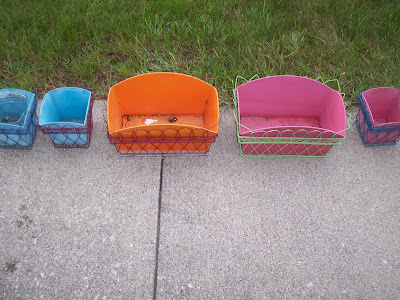 So, for $1.00 for planters, paint I already had and some clearanced flowers ($2.98) I added some pretty, thrifty and colorful fun to our yard! Please forgive the horrible grass situation going on in these photos. There used to be a garden here but, we took it out last year and are still trying to coax grass to grow back. So, that was my latest thrifty color edition to our yard. 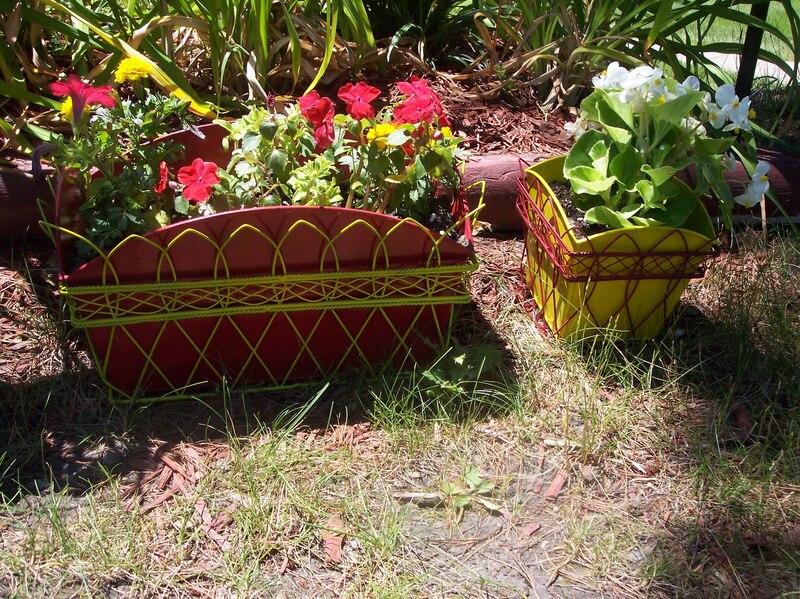 Have you been adding color to your outdoor space? Please join me in these fun parties! What a great find!!!! I would have snatched these up too!!!! In Sao Paulo has a square with lots of antique stalls, just go there i show you what to buy. that was a great find and you made them so colorful. i LOVE those!!! what a great find! 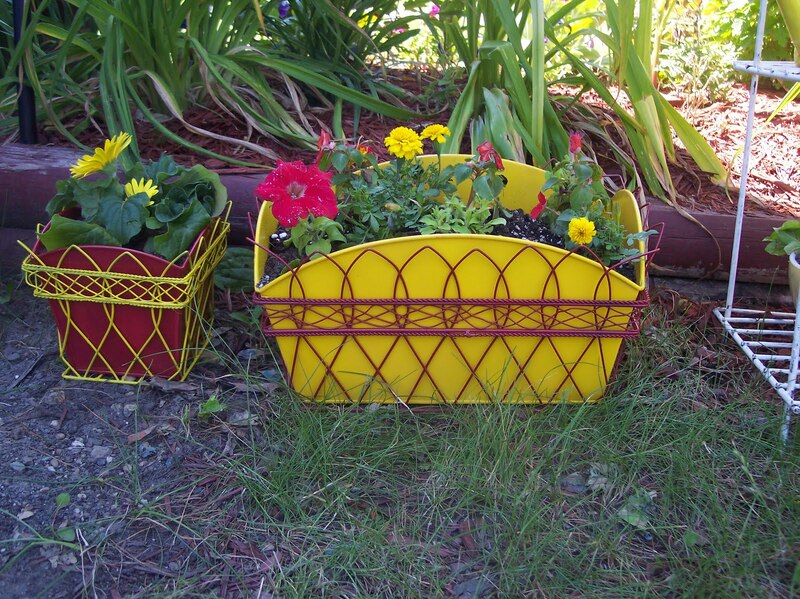 Love the planters and especially the color of yellow!! I too have been hooked on that shade for the yard!! What a bargain! Love those baskets and the cheerful colors you choose for them. Great color choices but a even better score! Congratulations on finding them. I love how you find great things and change them to look so pretty.. Wow.. I love it..
wow, those are great!!!! I love your transformations!! Not only do you find the neatest things, but you change them into something even MORE neat! Fabulous finds...the yellow and red look far better than the original colors! Those are so cute! You sure got the eye for refurbishing things so pretty. They look great!!!!!!!!!! !I just love them!!! 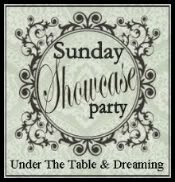 I haven't been to the flea market for I don't know how long, I can't wait to get there, next Sunday, hopefully, and maybe I'll have something nice to show you. You and Debbie Doo are total color lovers! They look wonderful! LOVE those- I want some!! Wow, you drive a hard bargain, don't you? 20c for silver spoons and a dollar for all those planters?? They may have needed repainting, but they look in excellent condition! Well done! Good Find! I love the bright colors. And 1.00 for all them is great price!! Diann, those are ohhh soooo cute! I love them. Very cute and colorful! 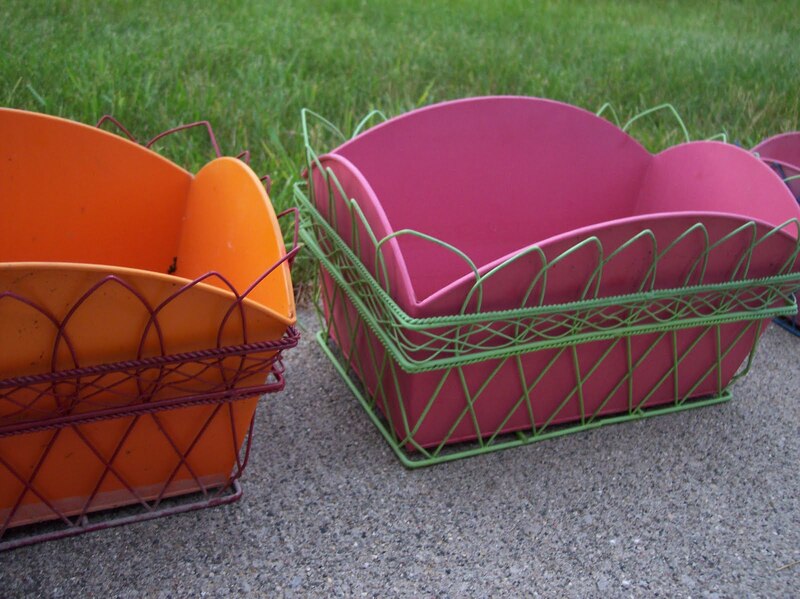 Great job on sprucing them up for your outdoor garden.! Hugs! I love those! Soo cute. Found you from Holly. Love the planters! What amazing finds! I must be getting old. 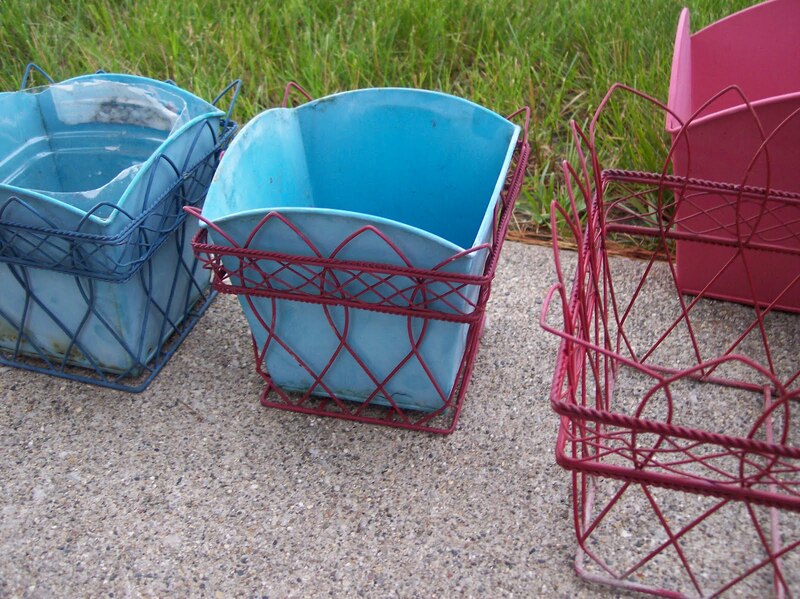 I kinda cringed when you said you had to go through standing water and rusty tools to get to these treasures. Glad you persevered and made a great bargain as well. You have a good eye to have seen the potential. They turned out beautifully. OH Wow! That was a great find! I love them! Your flowers look absolutely beautiful in them too! Love all the colors! I just can't believe you got all these for a dollar! Wow! Wow! What a great score and I love how you displayed them in your garden. Great job!